Delivering Award Winning Audio Visual and Home Entertainment Systems since 1993. Digital Signage, Sports bars, Education facilities, House of worship, Video Conferencing, Museums, Visitor Centers, Mobile Training facilities and Roadshows – our Designers, Programmers and Installers have handled projects from small to very large across multiple continents. Multi-room Entertainment systems, Multi-room Audio systems, Cinema Rooms, Control systems, Hi-Fi systems, Home networking – our system Designers, Programmers and Installers have created systems for bedrooms, lounges, lofts, ships and castles. 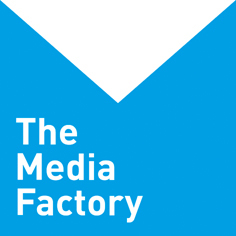 The Media Factory provides Consultancy, Design, Supply and Installation services in conjunction with Octava Inc. to Sports Bars owners, operators and facility managers across the US, Europe, the Middle East and Africa..
We supply a range of our most popular Residential and ‘Home Cinema’ video and audio products via our online shop.